It’s been a few years now that David and I have talked about a long list of places where we might be able to host an in person running trip. As a business which primarily serves online coaching clients Trails and Tarmac has been wanting to roll out some more in person offerings. This year we think we have found the perfect trip. 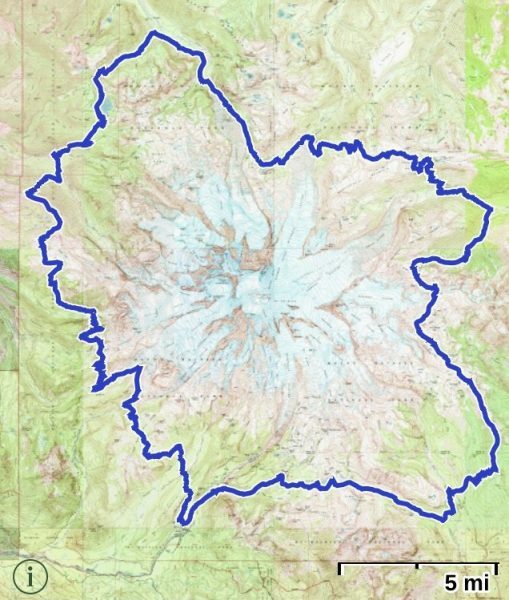 The Wonderland Trail circumnavigates Mt Rainier, perhaps the most impressive peak in the entire lower 48 United States. It’s 93 miles in length and has around 25,000ft of elevation gain and loss. It’s a daunting task with only a few access points. I was lucky enough to be able to do the trail in a single day last September, but this method of seeing this route left me wanting a different kind of experience. This September 11-14 David and I along with 11 other adventurous trail lovers will be having that experience. Failure is a funny term. It means different things to anyone that uses it. It has been sighted that I am someone who happily fails a lot, especially when it comes to attempting FKTs. I have set out on dozens of different attempts on trail and mountain records over the past 15 years, and I have succeeded no more and no less than four times. When people use the word failure to describe all but the four successful attempts well , I get why they use that word. But the reason I am able to come back again and again to the realm of the FKT is that I don’t see missed attempts as failures, for me they are just part of the deal. The main weapon in my athletic arsenal is my ability to shrug off the misses without losing my confidence that most anything is possible. After a failed attempt on the Wonderland in 2016 the trail had woven it’s way into my mind, this year I had to go back and try again.